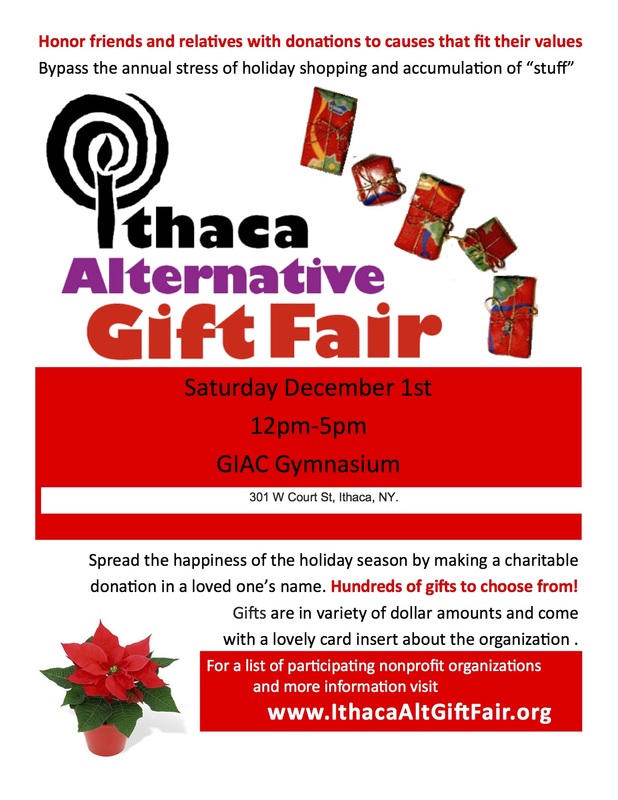 Join Friendship Donations Network at the Ithaca Alternative Gift Fair on Saturday December 1st from 12–5pm at GIAC. Trying to find the perfect gift for someone on your list? Supporting a local organization at the Ithaca Alternative Gift Fair could be the perfect way to avoid holiday waste and over-consumption while showing that you care. We are excited to join dozens of other local organizations at this special community event. Check out the Facebook Event page for more details and help us spread the word!